www.bond-25.com ist eine inoffizielle �Bond�-Fanseite, die als Homage dem 25ten Bond Film gewidmet ist. 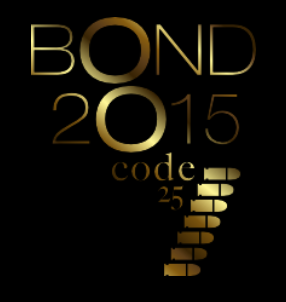 www.bond-25.com is an unofficial �Bond�- fansite dedicated as an Homage to the 25th Bond movie. As big fans of the �Bond�-series, these websites try to pay tribute to �Bond� inventor Ian Fleming, the creators and performers of �Bond� films, and the spirit and legend of '�Bond� to convey film and cinema fans through this homage.